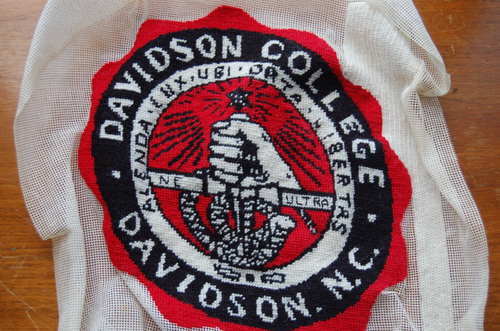 In honor of Davidson's amazing basketball team, let me introduce you to my oldest work-in-progress: my alma mater's official seal, cushion cover to be. Started: fall 1984. Time to pick it up again, maybe? The hyacinth lives here, the clivia at Billings Farm. And turns out there's a garden in the cupboard, too.